An Illinois town has canceled a trip to the Answers in Genesis Creation Museum and Ark Encounter in Kentucky after one of the nation’s leading atheist legal groups filed a complaint. The Freedom From Religion Foundation, a Wisconsin-based group that advocates for a strict separation of church and state, is hailing victory after the city of Charleston, Illinois, nixed plans for a community trip to see the creationist exhibits. The trip was planned by the town’s parks and recreation department and was scheduled for Sept. 30 through Oct. 4, 2019. According to a flyer, the trip would have cost each resident who wanted to go $575. 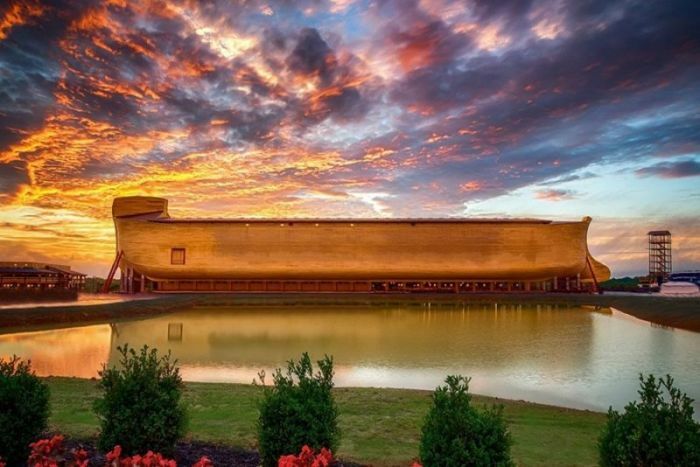 The price included transportation, lodging, admission to the “new” and “stunning” Ark Encounter and admission to the “famous” Creation Museum. Both exhibits are brainchildren of prominent Australian-born Young Earth Creationist Ken Ham, the founder of Answers in Genesis. Additionally, the trip included visits to the Cincinnati Zoo & Botanical Garden and a riverboat sightseeing cruise. In a letter sent to Charleston city attorney Rachel Cunningham on Monday, FFRF Ryan Jayne argued that the trip violated the Establishment Clause of the First Amendment to the U.S. Constitution. FFRF reported in a news release that Cunningham responded to Jane’s letter on Tuesday, assuring him that the planned event had been canceled and the flyer promoting the trip had been removed from the city’s website and online registration portal. The Christian Post reached out to Cunningham for confirmation and explanation as to why that the trip had been canceled. A response is pending. FFRF, which claims over 32,000 members nationwide and 900 in Illinois, regularly pressures public schools and government entities to halt practices or activities it considers to be a government entanglement with religion. Most recently, FFRF successfully pressured an Ohio town with the threat of a lawsuit to remove a Nativity scene and Ten Commandments display from public property. In August, FFRF pressured an Indiana school district to bar teachers from leading an elementary school’s Fellowship of Christian Students club. In October, a Georgia school district barred a local pastor from being able to lead a high school football team in prayer after FFRF submitted a complaint. In April, FFRF succeeded in getting an Illinois public school district to prohibit a principal from inviting parents to participate in an annual prayer gathering at the school’s flagpole. This is not the first time the FFRF has pressured a town to cancel a planned trip to the Answers in Genesis exhibits. In February 2017, the Christiansburg Recreation Center in Virginia canceled a trip to the Ark Encounter and Creation Museum after an FFRF complaint.